Comments: This beautiful home, located on Scottsville's James River Road, was built in 1847 by Joseph C. Wright, a retired landscape architect from Chester, England. In 1853, George Walden Dillard purchased Chester while living at the Mill House in Glendower. The Dillard family owned Chester for much of the next ninety-five years. In March 1865, Chester played a part in the Civil War during General Sheridan's occupation and partial destruction of Scottsville. As background, Major James Christian Hill, commander of the 46th Virginia Regiment and a Scottsville businessman before and after the war, was seriously wounded at Petersburg on 17 July 1864. 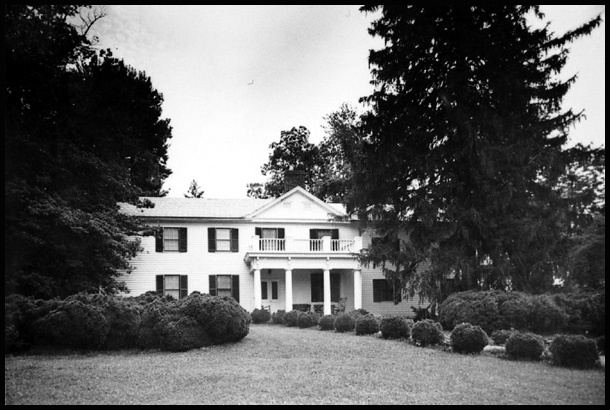 The Confederate Army transferred him to private quarters in Scottsville shortly thereafter, and Hill convalesced until early 1865 at Chester, the home of his mother-in-law, Mrs. Ragland. Hill eventually recovered from his wounds and after the war served as editor of the Scottsville Courier. Today Chester is a gracious bed and breakfast with the elegant charm of an English country inn. It keeps its Civil War history alive by hosting occasional reenactments and encampments on Chester grounds.